Ian Thomson retired as Chief Executive at the end of March 2019. Recruitment of a permanent replacement is currently ongoing. In the meantime, Lawrie West has been appointed as Interim Chief Executive. Marjorie Sloan was appointed Corporate Services Director in February 2013. 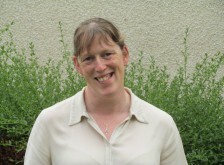 Marjorie is a qualified CA with over 20 years’ experience in the public sector and has previously worked with Stirling District Council and Stirling Council, in a variety of financial roles including dealing with Stirling Council’s Housing Service and more recently worked with Raploch Urban Regeneration Company.